Here's is the FINAL confirmed line-up! Adam Cheung is a fictionional writer, an English teacher, a programme editor at RTHK Radio 3, a moderator at Kubrick Poetry and an 80s Canto and J-pop junkie. Since returning to Hong Kong from Toronto in late 2009, he has developed a deep interest in the Hong Kong literary circles, the local indie music scenes, as well as those of Taiwan. He doesn’t keep a TV nor have Internet at home; he does not download music. Leung Arto - 摩格聲的創辦人及總編輯, 筆名L. A., 自發於2010年在Facebook上招募義務編輯, 旨在分享自己對音樂的想法及見解, 希望能歐美及亞洲獨立音樂在華語社會中有更透澈的介紹.Arto Leung, who uses the pen name L.A, is the founder and the chief editor of the online music magazine, Mugazine. 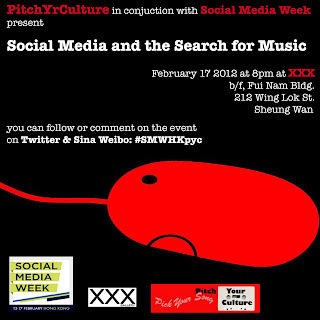 which was founded in April 2010 with the aim to express and to share feelings for music in the hope of bringing a fresh and clear perspective of Indie music into Chinese society. 晴海:「晴海的音樂天空」博客的網主，兩年半前開始寫網誌的習慣，希望通過互聯網與人分享自己喜歡的音樂，工餘時間為興趣作曲和填詞，亦開設了youtube頻道發表個人創作及翻唱作品。今次跟大家分享的作品，是以電影《那些年》為藍本而填寫的粵語版歌詞，兩個月來在youtube上錄得近十萬點擊; 在土豆網的轉載更獲得逾四十萬點擊，對自己的音樂創作是很大的鼓舞 Harumi (or) Ching -hoi began a blog two and a half years ago to share and highlight Hong Kong people’s favorite music, composer and lyricist. She also opened a YouTube channel and released a Cantonese cover version of the theme song of the Taiwanese smash hit movie “The Apple of My Eye” which has garnered over 100,000 hits. Derek Bullen was born in the Northeast of the US somewhere, but has recognized HK as home for more than a decade. After dabbling in digital media at Daytona State College, and majoring in international studies at Florida International University, he's worked variously delivering pizzas, driving a dump truck, removing the remains of demolished buildings, as international student coordinator at a flight school, bar-tending, in product development at a toy company, and more recently as a writer. Isaac Leung is a curator and artist who most recently organized the city-wide exhibition and symposia, One World Exposition, which matched Hong Kong and Mainland Chinese artists. He received a BA in Fine Arts at the New Media Art Department of Art Institute of Chicago and is currently a PhD candidate at the School of Creative Media at City University of Hong Kong. In 2002, Leung was the Program Director of the Hong Kong media art organization Videotage. Reign Lee is the founder of Indie Mag – a magazine for independent musicians. She is also a touring musician who has played shows all over Asia, England, Canada and the US. Her music has been licensed to prominent television networks in the US and used by brand name companies. Reign’s catalog is released under Vereign Records and digitally distributed to the world by Blue Pie Records. Stuart Lennon is a Hong Kong-based singer-songwriter who performs regular solo acoustic shows, and fronts local band Papancha. Stuart is Senior Communications Manager for Animals Asia, an animal welfare organisation that cares for bears rescued from the bile trade in China and Vietnam. He manages Animals Asia’s social media strategy. 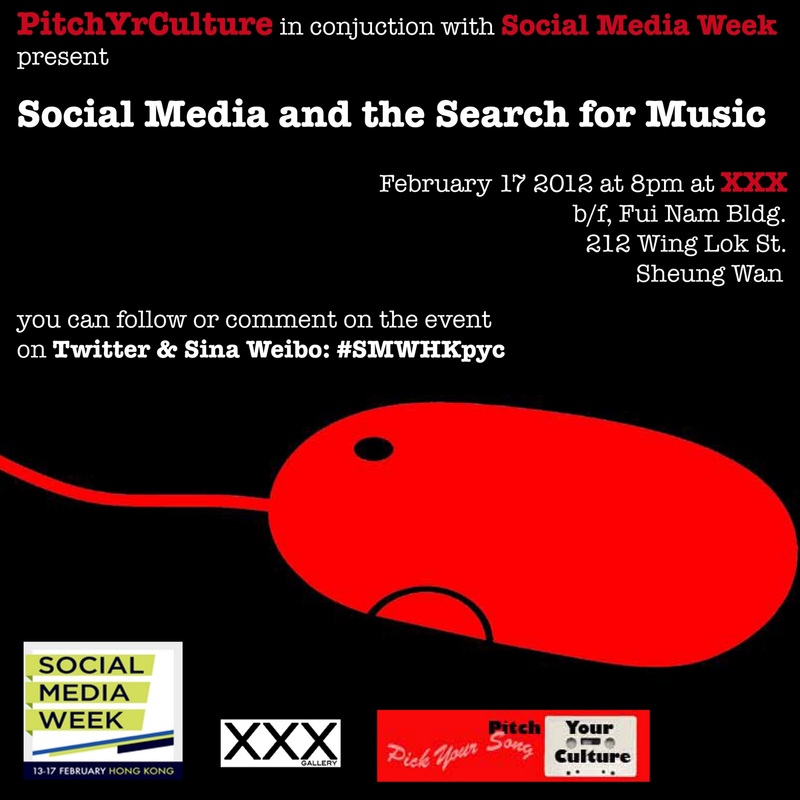 He also co-hosts Crossed Wires HK, a weekly podcast that showcases the Hong Kong music and comedy scenes.